– to provide open access to a coherent and authoritative Arctic reference map and thematic Arctic data through the publication of selected data from their respective holdings and from other sources. The aim of the Arctic SDI is to provide politicians, governments, policy makers, scientists, private enterprises and citizens in the Arctic with access to geographically related Arctic data, digital maps and tools to facilitate monitoring and decision making. Important data sets are produced and distributed by many stakeholders – public and private sector – and most of it can be geographically referenced. A spatial data infrastructure provides tools for data distributors to ensure that their geospatial data is easier for users to access, validate and combine with other data. The Arctic SDI provides such an infrastructure and its development is facilitated by the National Mapping Agencies of the eight Arctic Countries. Building an Arctic Spatial Data Infrastructure requires an ongoing development of the common understanding of the concept and a thorough understanding of needs and requirements among the stakeholders. Thus it will be possible to set the strategic direction for what dataset to develop and share and how to define the role of the thematic data providers. It also requires ongoing development of the targeted infrastructure, technical opportunities and data sharing principles. 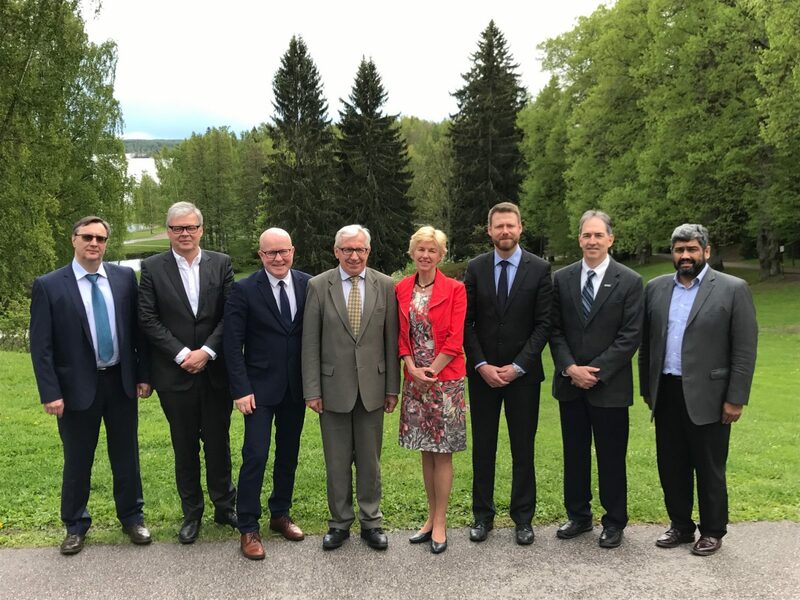 To support the communication with the Arctic Council a link to the Senior Arctic Officials has been established through the Secretariat of the Arctic Council’s Conservation of Arctic Flora and Fauna Working Group (CAFF). The foundation for the Arctic SDI is the legally non-binding “Memorandum of Understanding” (MOU). The decision-making body of the Arctic SDI cooperation is the Arctic SDI Board. The Board consist of one Director General or deputy Director General from each of the MOU signatories which countries are members of the Arctic Council. The Board meets at least once a year. The present status of the Arctic SDI cooperation is a voluntary cooperation between national mapping agencies. The activities are be performed by Lead Countries joined by Support Countries. The Lead Countries have the responsibility for the operation and progress of the specific activity and refers directly to the Board. This website is about the Arctic SDI cooperation. Here you can find information on activities and governance including the Board, the working groups, who is who, Terms of References, Activity Plans, meeting documents and strategic documents. You can also link directly to what this is really about: the Arctic SDI Geoportal.